I am so excited to help my little ones come to know and love their ancestors as much as I do. The Church of Jesus Christ of Latter-day Saints has some awesome lessons to help you teach your family about family history. I thought I’d create some fun printables and worksheets to use each Monday night during our Family Home Evening lesson series. Do you want to join me? Get ready for an amazing and exciting way to bring family history to life! 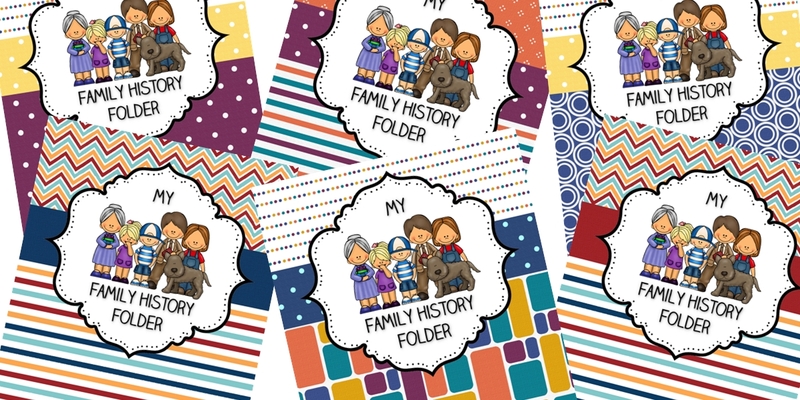 To start us off, I thought it would be fun to put together a binder for each child where they can add all the fun and creative things they make and learn about while studying about their family tree. Today, you can print off a cover for each child and slip it into a clear binder. Stop by this week for the first lesson so that you can prepare for next Monday! I’ll be trying it out on my family tonight and post details on how to prepare to start your family history home evening series in your own home!! Are you excited?? I am, Yahoo for FAMILIES!! Click on the image to download the Family History Covers. ← Why share Family History with Kids?